(RxWiki News) It’s unknown how exactly marijuana combats pain. But new research claims marijuana doesn’t kill pain so much as reduce caring about the pain. A recent study did brain scans on a small group of men while having pain induced after taking pills containing an active ingredient from marijuana, also known as cannabis. “We know little about cannabis and what aspects of pain it affects, or which people might see benefits over the side effects or potential harms in the long term. We carried out this study to try and get at what is happening when someone experiences pain relief using cannabis,” said lead author. "Talk to your doctor about pain management options." Michael Lee, PhD, from Oxford University’s Centre for Functional Magnetic Resonance Imaging of the Brain (FMRIB), led the investigation. For this small study, 12 healthy males were each given either a 15 mg tablet containing delta-9-tetrahydrocannbinol (THC) or a placebo (fake) pill. THC is the active ingredient in marijuana, or cannabis, that produces the ‘high,’ psychoactive or analgesic affects. Each participant was then given a functional magnetic resonance imaging (fMRI) brain scan. FMRI scans allow researchers to see what parts of the brain are working while a subject is doing or experiencing something. Pain was induced during the scan by topical application of a cream containing 1 percent of capsaicin, which is the active ingredient in hot chili peppers. Capsaicin causes a painful burning sensation when applied directly to the skin. Either the capsaicin cream or a placebo cream was applied to one leg of each participant. 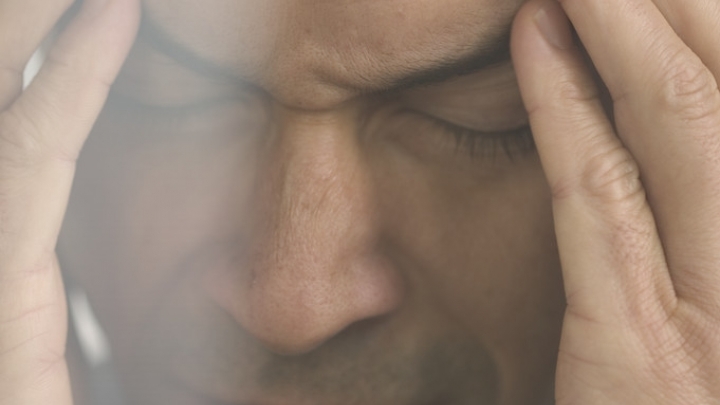 Researchers were looking to discover how the brain reacts to pain under the influence of THC. Participants who took the THC pill and received the capsaicin cream reported the same level of burn from the cream as the other participants, but they reported being bothered by it less than participants who took a placebo pill and had the capsaicin cream. The fMRI scans showed participants who took the THC had less activity in the parts of the brain known to deal with emotional reactions to and unpleasantness of pain. Further studies are warranted to gain better understanding of this study’s findings. This study will be published in January in the journal Pain. Funding support for this study was provided in part by UK Medical Research Council, the National Institute for Health Research (NIHR) and Oxford Biomedical Research Centre. No conflicts of interest were reported.